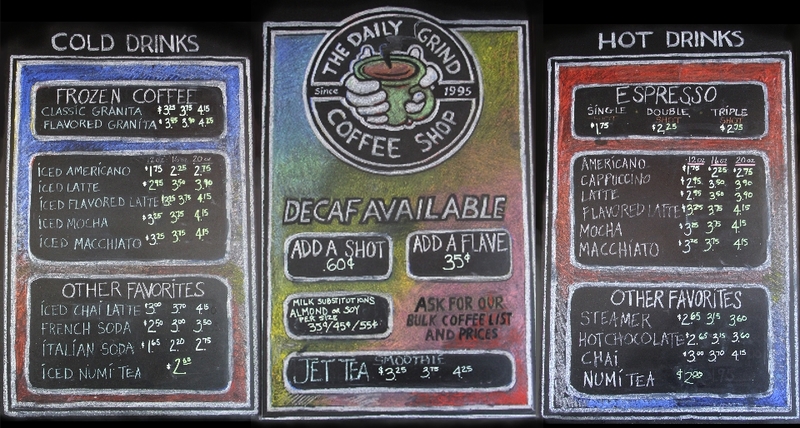 The first Campus Daily Grind opened in 1995. Having served the Stillwater community for over twenty years, our local baristas know that it takes more than pushing a button to make a great espresso. We have the knowledge and experience it takes to make each cup of coffee a superb one, and it is our pleasure to deliver on our promise of creating a great coffee shop experience. 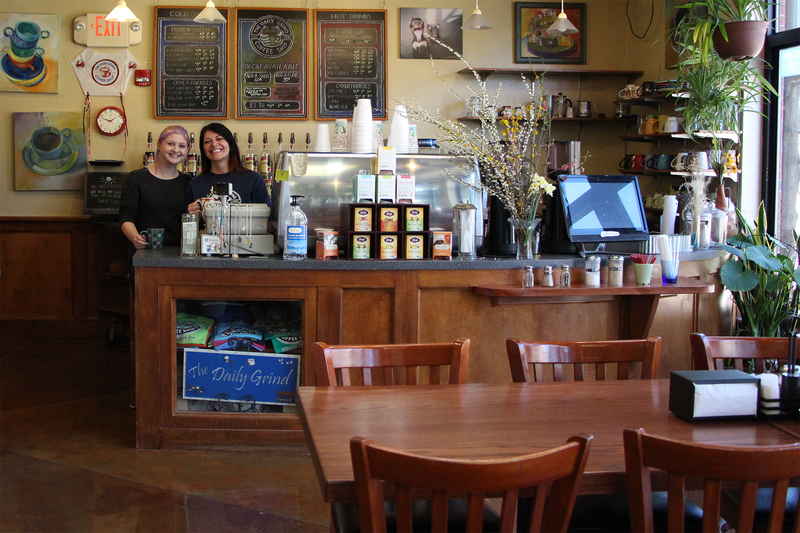 Located inside the Original Hideaway Pizza at 323 S. Knoblock, Stillwater, OK, The Campus Daily Grind welcomes all, and has always celebrated the diversity of our local community. Need a place to unwind or study after class? We have Free Wi-Fi! Stop by The Campus Daily Grind!